Some claim that coffee and its caffeine contents are bad for the health. It's a silly answer. 85% of the world population enjoys coffee. My family and I enjoy coffee for decades now. I drink coffee every day after each meal. Coffee makes me feel relaxed and gives me inspirations. Oh, I do not smoke, I do not drink liquor, and they're just not my taste. Let us brew up coffee in a simple and tastier way. Coffee shops are on every corner of streets. Many claim that their coffee is tastier than what we brew at home. Is this true? Is it not because of environmental illusion? Any coffee might taste good when you are with your lover, don't you agree? Coffee has bitterness, acidity or sour taste and sweetness, and of course, relaxation effect. And that's what you need when you brew coffee. The bitterness of coffee depends on the roasting time. Our finding shows that there are two different tastes of bitterness—bitterness that we love to taste and drink, and bitterness that we dislike tasting. This bitterness is caused by amino acids and glucose combined when roasted. The important thing here is not to overroast. Coffeemaker (percolator) usually has a filter called dripper (mostly paper filter). This is also made to remove bad bitterness (overroasted portion), and remain the good bitterness. Elements of bad bitterness are hard to dilute in the water, and good and tasty bitterness is easier to dilute in the water. How to get more good bitterness and reduce bad bitterness? That's what every one of you wants to know. It is very simple. Boil hot water and wait for one minute. Pour or spread hot water all over the coffee, equally and evenly. This is to avoid bad bitterness from diluting in the water before the good bitterness is diluted. Pouring hot water correctly will make the coffee powder look like a beautiful mountain, but doing it incorrectly will make the coffee powder shrink, sink or erupt and you won't see a beautiful mountain shape there. Everything depends on how you pour the hot water. Either fast or slow pouring is not good. The important thing is to pour evenly. Brazilian, Colombian, Ceylon and Ethiopian coffees are popular here in the coffee shops in Osaka. Coffee mania tries each brand to find their tastes. My friends who own coffee plantations in Ethiopia and Brazil came and brought their own harvested coffee beans and brewed and showed me their best ways. It was so simple. They just placed roasted beans to a clay kettle and boiled. Amazingly, they placed sweetened condensed milk at first into my cup followed by hot coffee. Yes, it tasted splendid. According to them, condensed milk does some trick at first, then coffee. Now, they explained to me to try it with instant coffee, too, by putting condensed milk first. Make instant coffee separately with hot water and pour it to the cup where condensed milk is poured already. And yes, the taste is very much improved. However, for me, I still prefer honey to sweeten the coffee. Try it anyway. It's your choice. There are various ways to brew coffee in different countries and with their own tastes. 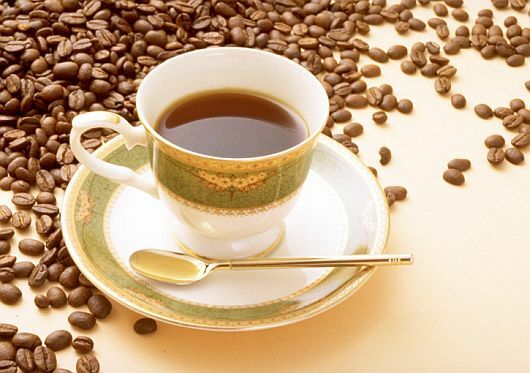 You will certainly be healthier and enjoy your life more with a cup of coffee. For one person, about 10 grams (0.35 oz) of coffee powder is recommended. For two persons, about 18 grams (0.63 oz) of coffee powder is recommended. For three persons, about 25 grams (0.88 oz) of coffee powder is recommended. For four persons, about 32 grams (1.13 oz) of coffee powder is recommended. For five persons, about 40 grams (1.41 oz) of coffee powder is recommended. Hot water temperature of 90 degrees Celsius (194 degrees Fahrenheit) is recommended. Vinegar Paste for scale cleaning. Mix 1 teaspoon of vinegar and 2 tablespoons of salt and use it as a kitchen cleanser. 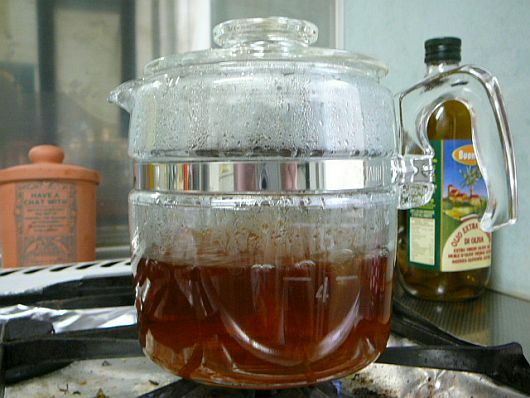 Vinegar for kitchen sink and drain cleaning. Make 1 cup of sodium bicarbonate (baking soda) to 1 cup of vinegar and wait for 5 minutes. Mix with warm water and drain to the pipe. Vinegar for flower vase. Mix 2 tablespoons of vinegar and 1 teaspoon of sugar to 1 liter of water to keep cut flowers longer. Vinegar for dog care. Mix 1 cup of vinegar to 1 liter of water. Use it to wipe dog fur. Vinegar for beauty care. Mix 1 tablespoon of vinegar to 2 liters of water. Rinse your face with it. You do not need any other facial cleanser or creams at all. Our beautiful ancestors never had modern creams, and history books say that Cleopatra also used vinegar.